BREAKOUT NU SENTRAL OPENS ITS DOORS WITH 7 BRAND NEW THEMED ROOMS! 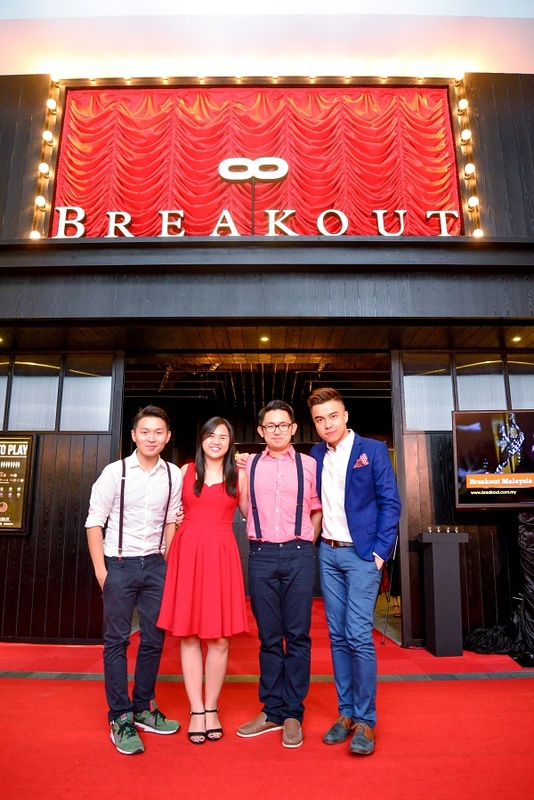 (Kuala Lumpur, Malaysia) – BREAKOUT NU Sentral was officially launched on 10 June 2015 in a grand affair as over a hundred guests thronged to the event located at the shop-front of the escape game premise. Among the guests comprises of business partners, bloggers and friends from the media were celebrities Arja Lee, Mark O’Dea, Venice Min, Juztin Lan and fellow DJs Linora Low and Fiqrie. Earlier that day, Mark O’Dea, Venice Min and Arja Lee got their hands-on experience on the escape game in Breakout, hoping to breakout from the tricky maze within an allocated time of 45 minute. Mark O’Dea and his friends took on the challenge in The Testament of Tesla, dubbed as the most difficult challenge among the 7 themes available in the NuSentral branch. With brains and brawns, they managed to breakout successfully with minutes to spare. “It was such a great experience and I will definitely come back again to try the other themes,” Mark shared. There are seven themed-rooms available in BREAKOUT NuSentral including Dreadnought, Materia Medica, The Testament of Tesla, The War for Rembrandt, Terraform, The Secret of Hocus and Perpetual. With a successful opening of their second branch, the directors of BREAKOUT announced that their third outlet will be opened in Canada really soon. “BREAKOUT is suitable for escape game enthusiasts, families and everyone! We are very passionate and dedicated in crafting original stories and themes for players to immerse themselves in a whole new adventure and stratagems. Players can expect new story lines with interesting concepts and new innovations with a little bit of RPG or role-playing,” says Johnny Ong, Head of Creative and Operations at BREAKOUT. Visit BREAKOUT NU Sentral at Level 4 (next to Celebrity Fitness) today and check out their Instagram @breakoutmy for exciting discounts and promotions!